The Fondation’s Education and Outreach team welcomes school groups both during and outside school hours. 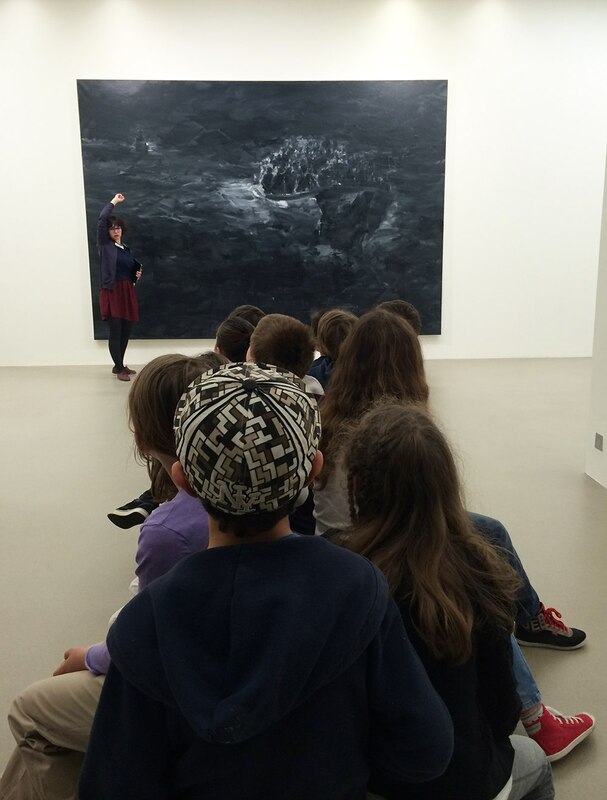 Visits are led by one of the Fondation’s art educators and are adapted to the level and age of the children. All group visits must be booked via our booking office at least fifteen days in advance. Admission for your bus driver is free. Visits for school groups last approx. one hour. Groups must arrive fifteen minutes before the start of the tour at the meeting place indicated on the booking confirmation. A locker dedicated to school groups is available in the entry hall. However, please note that the space is limited and that we therefore highly recommend to leave the bags in the buss if possible. Backpacks are not authorized inside the exhibition space. In case of rainy weather, all outwear must be left in the cloakroom.